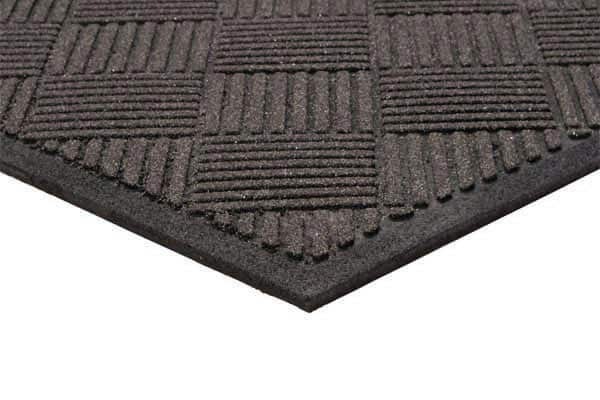 Outdoor Grit-Top Scraper Entrance Mat. Eco-Friendly Rubber. Tough grit surface. Anti-slip in all weather conditions. Heavy recycled rubber mat backing keeps mat in place. 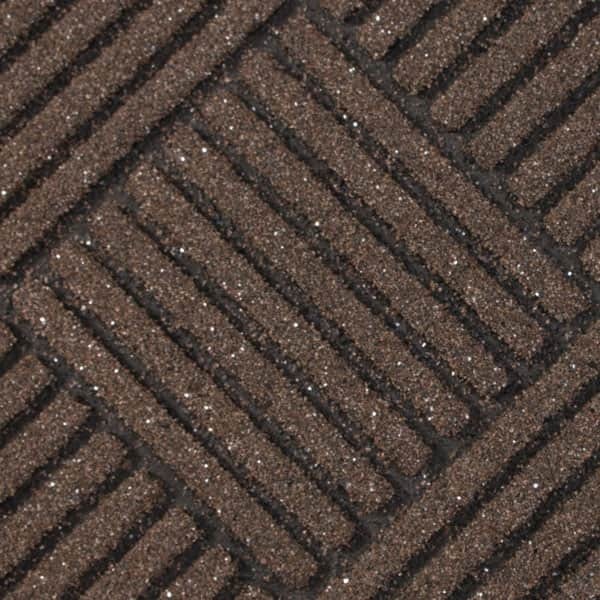 Patented grit surface provides ultimate anti-slip characteristics in all weather conditions. Surface grit is UV stabilized and won't fade with sun light exposure. Extra heavy recycled rubber base keeps mat in place. Easy to clean - just shake or hose off. Repels water and dries quickly. 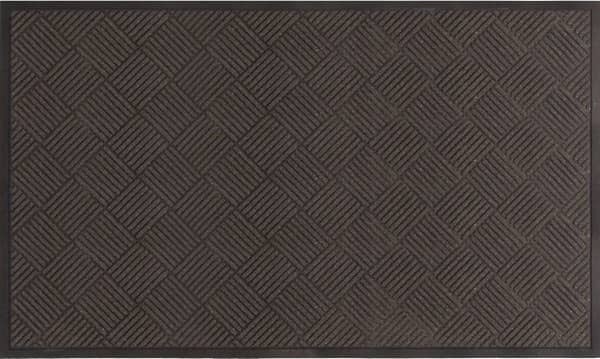 This fashionable and elegant designed mat is recommended for high or low traffic outdoor entrances. 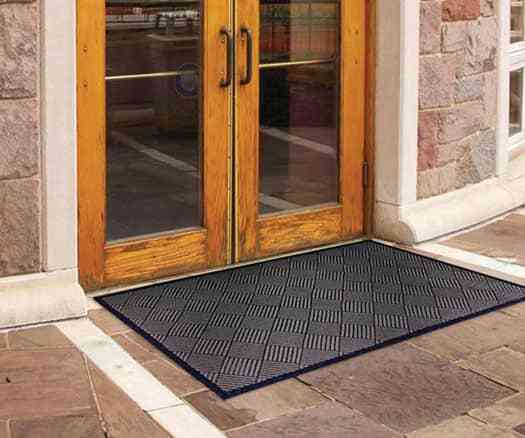 Eco friendly entrance mats made in the U.S.A.
2' x 3' 23.25" x 36"
3' x 5' 35.25" x 58.75"
4' x 6' 46.75" x 71"
The durable TireTuff CleanScrape outdoor floor mat provides top-of-the-line scraping performance for any outside entrance setting. Eco friendly recycled rubber product. New and improved grit adhesion. 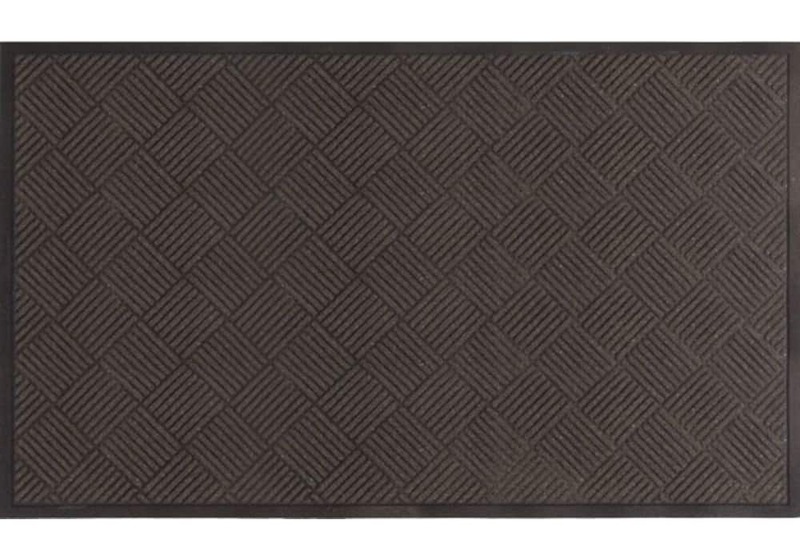 The most aggressive cleaning mat on the market! 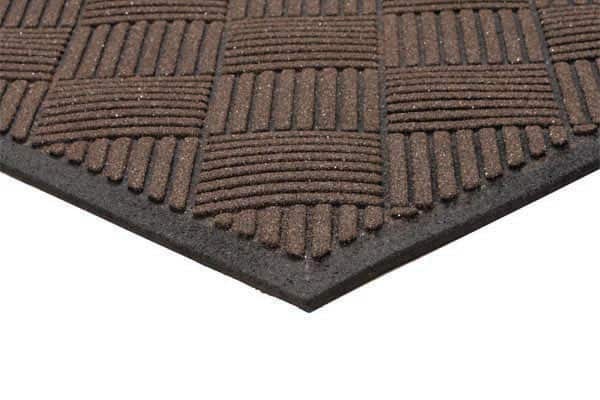 Innovative grit surface effectively cleans shoes while hiding dirt in recessed channels. Repels water and dries quickly. 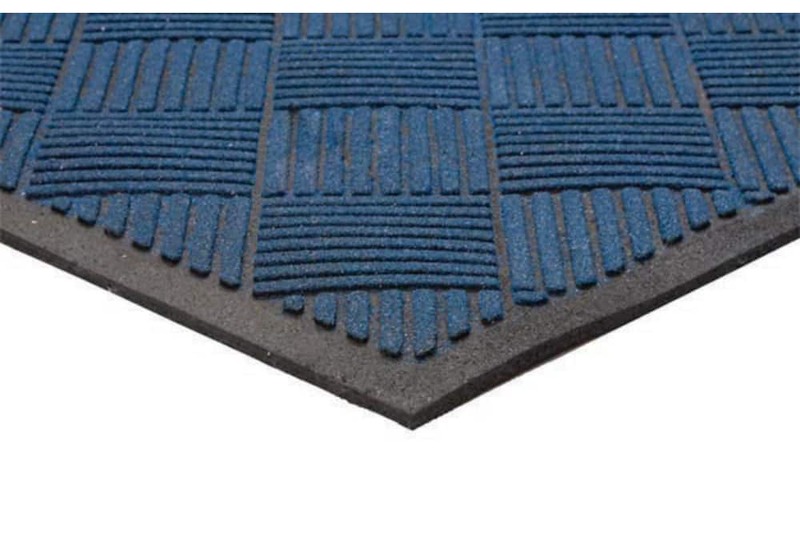 Extra heavy recycled rubber base keeps mat in place. 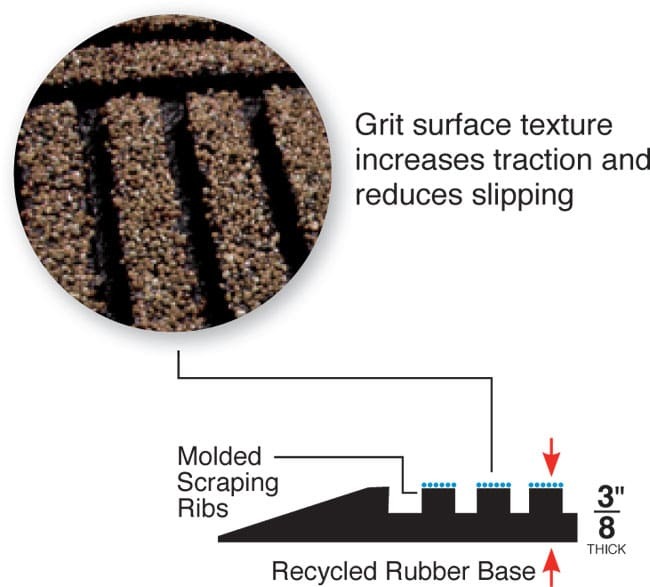 Patented grit surface provides ultimate anti-slip characteristics in all weather conditions. Easy to clean - just shake or hose off. Thickness: Approx. 3/8" to 1/4"